Join us on a week-long ski trip to Snow Mountain Ranch (YMCA of the Rockies) in Colorado. Ski on over 100 km of ski trails at Snow Mountain Ranch. These trails have both skating and striding trails for all skiing abilities. Miles of snowshoe trails start from the Nordic Center. There are also 40 km of groomed fat tire bike trails. Snowshoes and fat tire bikes are available for rent. 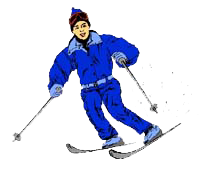 Optional skiing at nearby Nordic ski centers include Devil’s Thumb Ranch with 80 km of ski trails and Grand Lake Touring Center with 35 km of ski trails (trail fees not included in trip cost). Note that Snow Mountain Ranch is at 9000 feet of elevation. We will fly nonstop from Milwaukee to Denver, CO on Southwest Airlines and be driven to and from Snow Mountain Ranch via coach. Rental cars will be obtained when we arrive at Snow Mountain Ranch. The trip will have seven night's lodging at Indian Peaks Lodge with 2 people per room (rooms contain mini fridge and microwave). The lodge has a public lounge area with TV, games and books. All breakfasts at the nearby Commons Dining are included. For questions, please contact trip leader Stan Rosenstiel at 262-694-2206 or mrstanmr@yahoo.com.